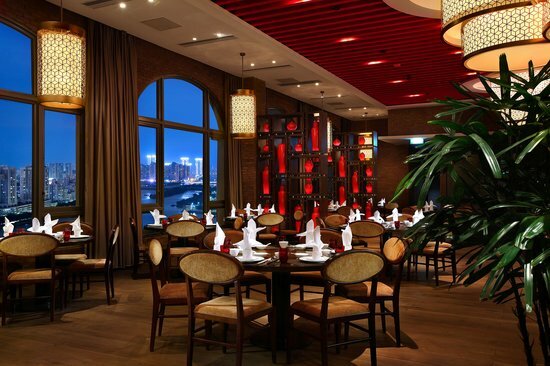 Macau's trendiest Cantonese Restaurant, Le Chinois overlooks the Macau inner harbour from the hotel's top floor. Authentic Cantonese fare gains extra appeal thanks to stylish French-inspired presentation. Exquisite dim sum are special attractions. 1. Not found my booking record, but gave me a veey good table. On that day, many guests and chefs also greeted guests and food was served very quickly. Delicious and cheap. Not enough waiters to serve guests during lunch. The senior big woman in reception seems not welcome guests and rude. The restaurant never knew about my online reservation. However, there were tables when we arrived. Not sure if your online table booking actually works or not . 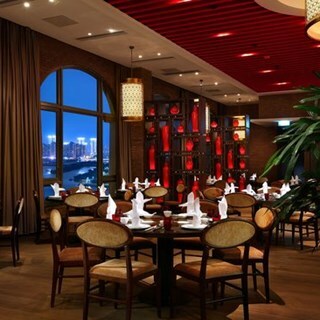 One of Macau's most stylish choices for Yum Cha. Great food, attentive service and excellent value for money. Very nice dishes! Good price! Sehr gutes Restaurant mit zuvorkommendem Servicepersonal. Top! Food was excellent. Peanut paste dessert was slightly salty.